Winter advisories for October 14, 2018. 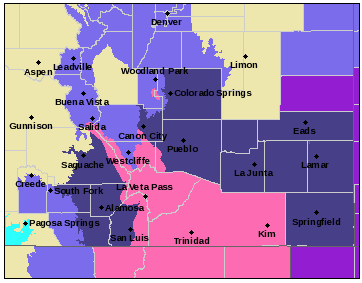 Across the southeast plains, a winter weather advisory in effect for most of Pueblo County, along with all of Crowley, Kiowa, Otero, Bent, Prowers and Baca counties. While the southern mountains can expect 5-6 inches of new snow, the eastern can look for 1-2 inches. Despite the limited amount of snow, travel may be hazardous across the area as visibility is reduced. The Colorado Department of Transportation is expecting road surface temperatures to be around the freezing mark throughout the day with slightly warmer road temperatures in the early afternoon. Slick and icy areas are possible. Snow plows are working across the state. CDOT reminds drivers slow down, leave extra room between vehicles in case of sudden stops, and provide plenty of space for snow plows to work. 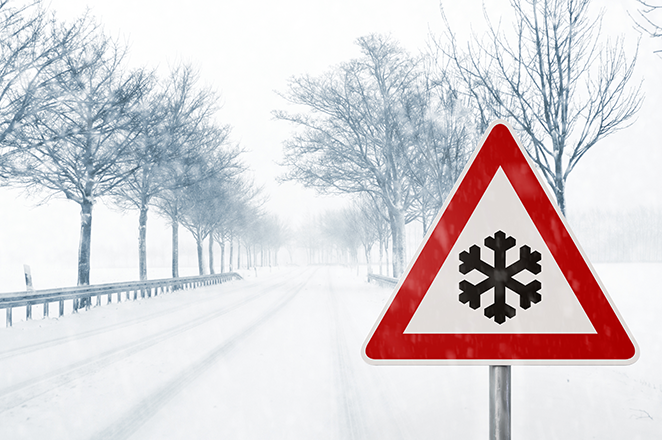 While passing a plow is not recommended, if you must pass, do so only on the left, and with extra caution. A hard freeze is expected overnight Sunday into Monday, assuring an end to the growing season. 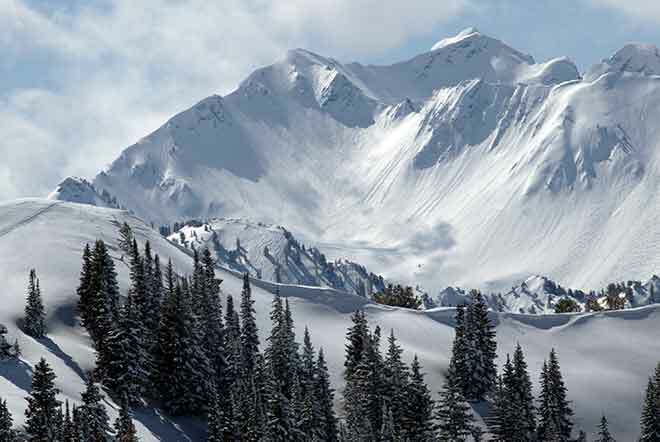 Snow over the past week has been good news for the Wolf Creek Ski Resort. 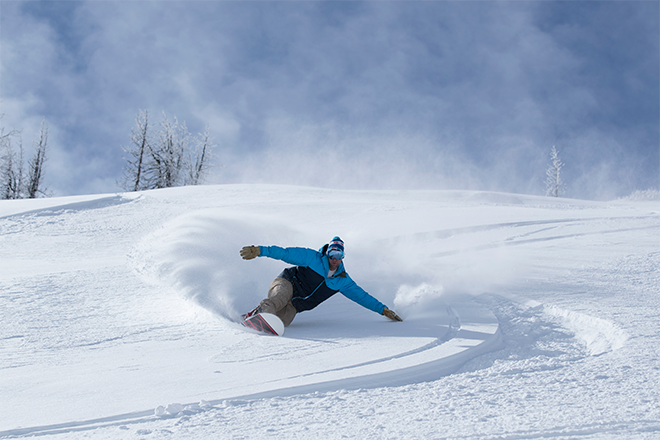 Up to 30 inches fell in the area, allowing the resort to open for the season Saturday. Weekend-only operations are expected to continue for several weeks until additional snow is received. Scott D.W. Smith, courtesy of Wolf Creek Ski Area. Snow is expected to continue Sunday until 4:00 p.m., with blowing snow until 5:00 p.m. Total predicted accumulations range from 1-3 inches. Wind will be out of the north at 15-20 miles per hour. Highs will be in the low 30s, with overnight lows in the upper teens. Monday's high will be around 40 under sunny skies. Overnight, look for lower 20s. Tuesday warms to the mid-50s before falling to around 30, while Wednesday is expected to see low 50s for the high, and overnight lows just above the freezing mark.